Rent Separk Mansion | Corporate Events | Wedding Locations, Event Spaces and Party Venues. Every bride has a unique vision for her wedding. At Separk Mansion our sole focus is ensuring that your vision is fulfilled and your wedding is spectacular. Our Separk team brings years of experience in planning and delivering exceptional weddings in the Charlotte area. 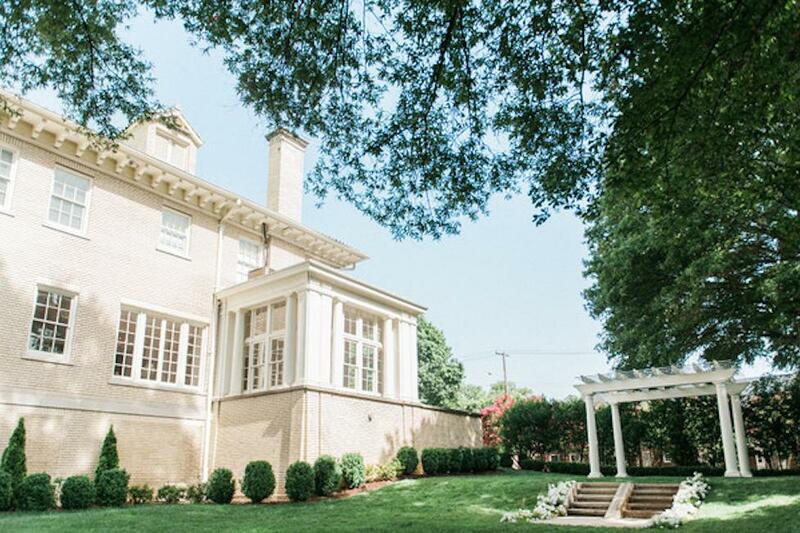 We work hard to be your Charlotte wedding venue of choice by providing a great value, along with unrivaled flexibility due to the varied services Separk Mansion provides. Separk Mansion is one of the only wedding venues in Charlotte area that offers both All-Inclusive and Ala-Cart Wedding options. Our Ala-Cart Venue Rental Option provides the use of the Mansion property and garden, Tables, Chairs and Premiun Linens or let us manage every detail through one of our All Inclusive Wedding Packages. We can provide our brides with as much or as little help they may need throughout the wedding planning process. Our Bespoke All Inclusive Wedding Package provides almost everything you will need for your wedding day. We have partnered with some of the Charlotte areas leading vendors to provide a budget friendly wedding package that provides the most desired items and services including: Food, Bar, Wedding Cake, Table Centerpieces, Ceremony Decor, along with all of the chairs, tables and linens you will need for your Wedding Ceremony, Cocktail Hour and Reception.